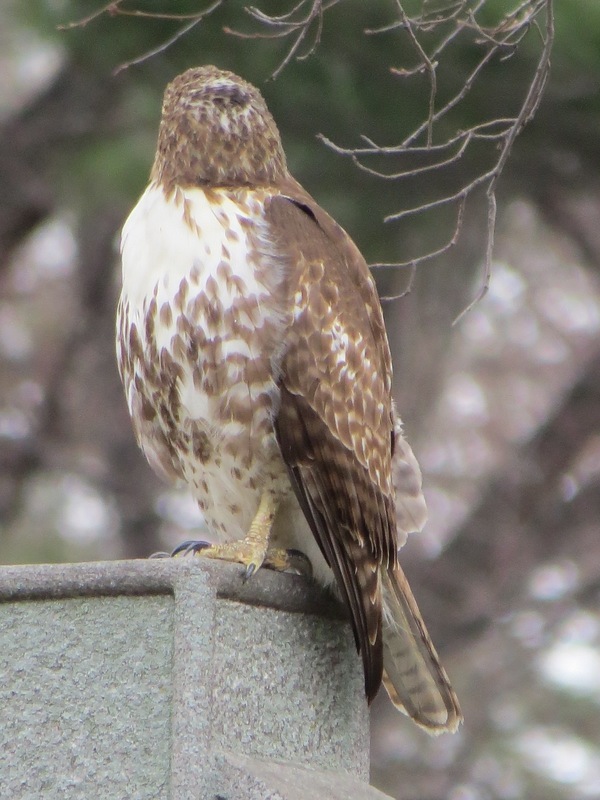 It is not easy being a large hawk. They’re slow, obvious, and nobody likes them. 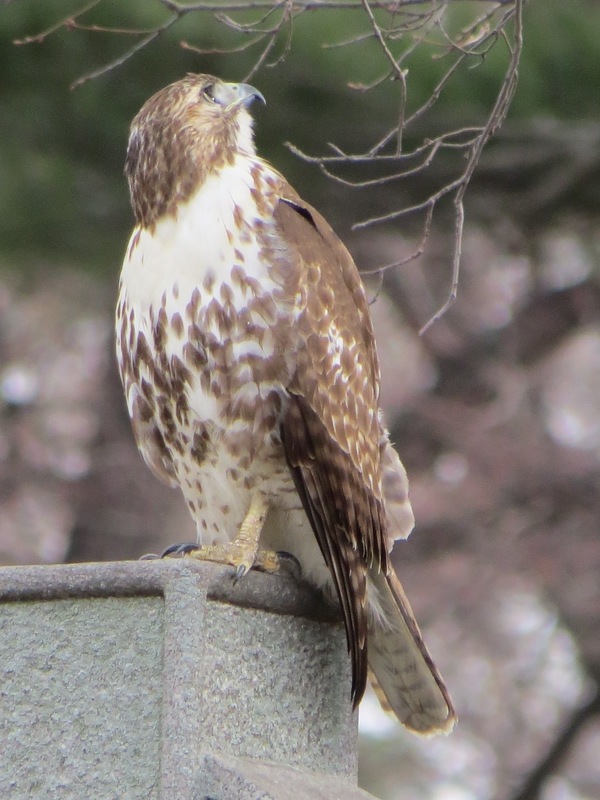 A case in point: this young Red-tail (Buteo jamaicensis) was being hassled by several Blue Jays, who screamed and shouted in alarm. They were pressing the advantages of the many smaller against the larger one. Even a bold Black-capped Chickadee got involved in the verbal melee. But it wasn’t just verbal. 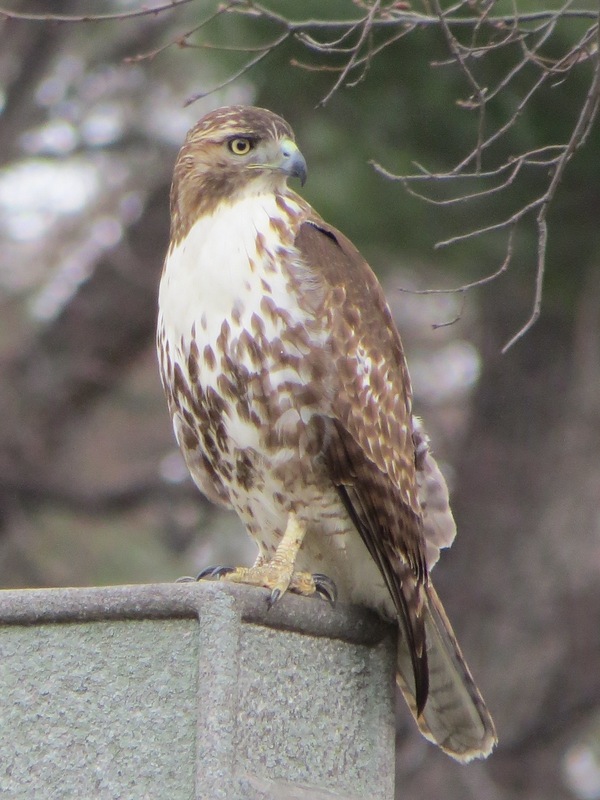 My fellow-birder noticed this disturbance on the bird’s head. Then both of us saw one of the Jays slam into this spot, no doubt exacerbating the effects of the earlier blow(s). Yes, it is not easy being an airborne hunter. Which helps to explain why most won’t make it to their first birthday. FYI: it looks like there are still spots available for our Croton Point Bald Eagle expedition.